Calling this feature a knockoff is not an insult in any way: it is fact. When Instagram CEO Kevin Systrom was asked about this development in an interview with Techcrunch, he said, “[Snapchat] deserves all the credit.” On its release date, tech based news was flooded with the words “Instagram,” “Snapchat,” and “ripoff.” Tech blogs all published articles with titles similar to “Instagram’s new feature is a ripoff of Snapchat Stories.” Upon its release, the feature was seen as a cheap copy, and as a result, it remained practically unused at the time—just an empty header on the app. Now, two years later, Instagram stories have more than eclipsed their predecessor. In fact, it took less than one year for Instagram stories to grow larger than those on Snapchat. By August 2, 2017, Instagram had accumulated 250 million daily “story” users in contrast to Snapchat’s 166 million. Snapchat usage is steadily decreasing in tandem. Delmondo, a analytics provider, found that the average number of viewers per story has decreased by over 40% just between July and November 2017. 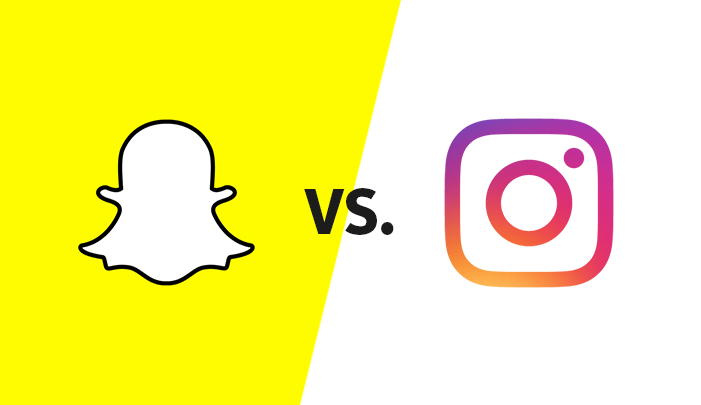 Why did Instagram’s story feature, which was initially dismissed as a “ripoff,” leave Snapchat’s story feature in the dust? No reason is more important than each app’s user interface. Instagram stories and Snapchat stories are practically the same feature, leading to many UI similarities. The viewing process on both apps is almost identical: click through a chronological list of stories with the option to send a message as response. Even the posting process—filled with filters, paintbrushes, and other options to personalize photos and videos—is almost the same on both apps. Instagram actively chose to create a similar feature since users are best able to conceptualize a new feature when it mimics something they have already experienced. As a result, Instagram users had no issue understanding how the app’s stories worked, because they’d already seen them. Despite all these similarities, there are two main differences between the two story features that give Instagram the upper hand. Accessibility: Instagram stories are fully integrated into the main home screen; situated right below Instagram’s logo, they demand your attention with a vibrant pink and orange ring surrounding each unseen story. Upon opening the app, it’s the first thing to catch your eye. “Before I even scroll through the new pictures posted, I instinctively click on the new stories now,” said Bryce Valencia, 20. People watch these stories without actively pursuing them due to their prime location. On the other hand, Snapchat’s stories are positioned away from the home page, separate from your inbox. Although only a single thumb swipe away, watching these stories takes forethought and effort—even a minute amount of effort. While people using Snapchat might never take the moment to swipe over to their stories tab, Instagram users see these stories as a byproduct of simplu opening the app. Discoverability: Instagram’s search and explore features are perfectly crafted to allow natural exploration. The explore feed is tailored to likes, saved photos, and followers, updating constantly based on Instagram’s algorithms. The search function accepts Instagram handles, hashtags, places, and even keywords to help you find the content you’re looking for. As a result, exploring the app and finding new stories to watch is simple and organic. On the other hand, Snapchat doesn't have this kind of spontaneous exploration. There are no recommendations, no real search function (one of Snapchat’s biggest problem points), and no way to explore what the app has to offer. In order to see someone’s story on Snapchat, you first have to add their handle, a difficult process if you don’t know their exact username. Instagram reigns supreme in discoverability, allowing users to find new content to explore, new accounts to follow, and new stories to watch, thus promoting their stories further while Snapchat’s flounder. Instagram stories were, at first, a shameless copy of Snapchat’s innovative feature, but they took the innovation to new heights in terms of implementation. In the same interview with Techcrunch in which he admitted that Snapchat deserves the credit for the idea, Kevin Systrom also said, “The question is what do you do with that format? What do you do with that idea? Do you build on it? Do you add new things? Are you trying to bring it in a new direction?” Instagram built upon Snapchat’s idea in a way Snapchat didn’t, and now they are reaping the benefits.